Licensed Producers / The Green Organic Dutchman Ltd. The Green Organic Dutchman Ltd. (“TGOD”) is a Health Canada licensed producer of medical cannabis products under the ACMPR (“Access to Cannabis for Medical Purposes Regulations”). TGOD operates out of a state-of-the-art facility in Hamilton, Ontario. The license to cultivate and sell medical cannabis to authorized patients was awarded by Health Canada on August 17, 2016. 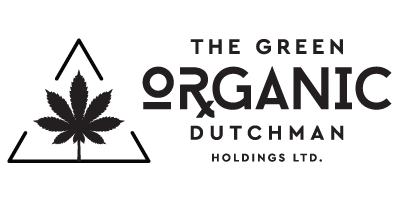 The Green Organic Dutchman Ltd. craft grows its cannabis according to all natural and organic principles. Each variety is grown without the use of harmful chemical pesticides. To participate in the Beta Patient Program, you must possess a valid Medical Document for medical cannabis. A valid Medical Document must be completed and signed by a practicing Canadian physician.